Korenix is glad to introduce its new industrial unmanaged booster PoE switch – JetNet 3808G in the Taiwan Seminar on Oct.30th. 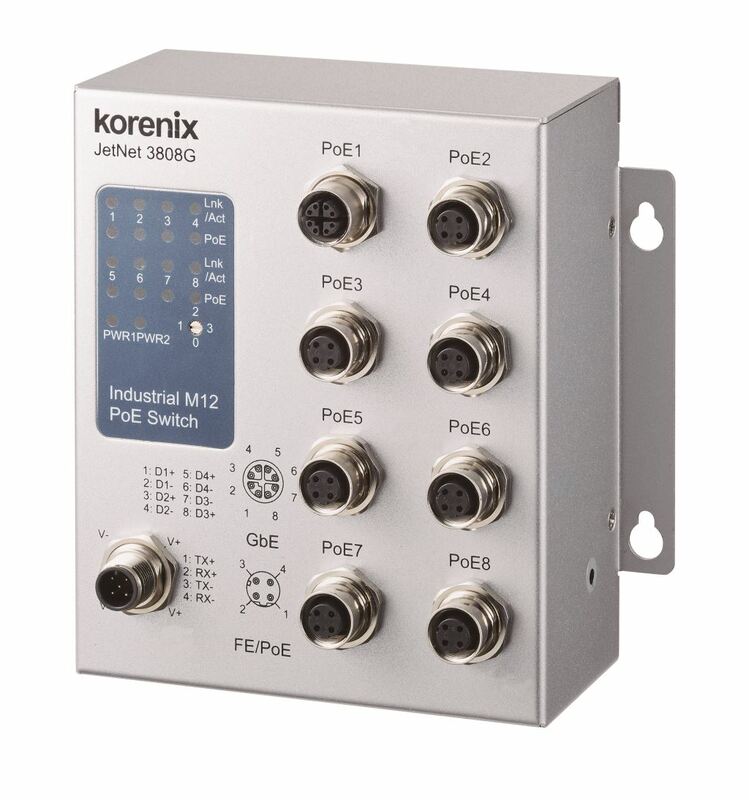 The new Ethernet Switch is equipped with M12 connectors of 7 PoE/PSE fast Ethernet ports and 1 PoE/ PSE gigabit interface. The device is suitable for IP surveillance in harsh environment such as railway transportation system or metro system. The JetNet 3808G features a rotary switch for power delay off and ignition sensing system. In transportation application cases, when the engine of a vehicle switches off, the PoE switch enables it to keep monitoring other devices like surveillance camera, IP phone, DVR etc. In addition, Jetnet 3808G is designed with dual 9~36VDC power input. The above power features ensure a reliable power sourcing. The industrial unmanaged booster PoE switch is compliant with EN50155, EN50121-4 and E-Mark traffic certification and is equipped with rugged design like IP41 wall mounting steel case, operating temperature -40~75℃. It is suitable for harsh environment. JetNet 3808G is robust designed, meets multiple railway standards and provides reliable power source, it is a perfect device that can be applied in smart transportation system. Korenix will be giving live demo of our JetNet 3808G in the Intelligent Rail Transportation seminar on Oct. 30th. Multiple application cases and products will also be introduced.